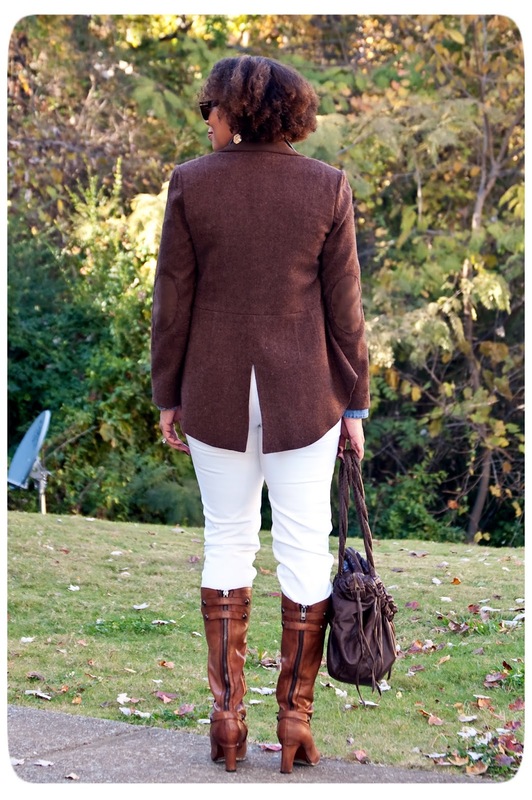 This is yesterday's look: Urban Equestrian. I saw this look on YLF and immediately walked into my closet and started pulling pieces to create my own version. 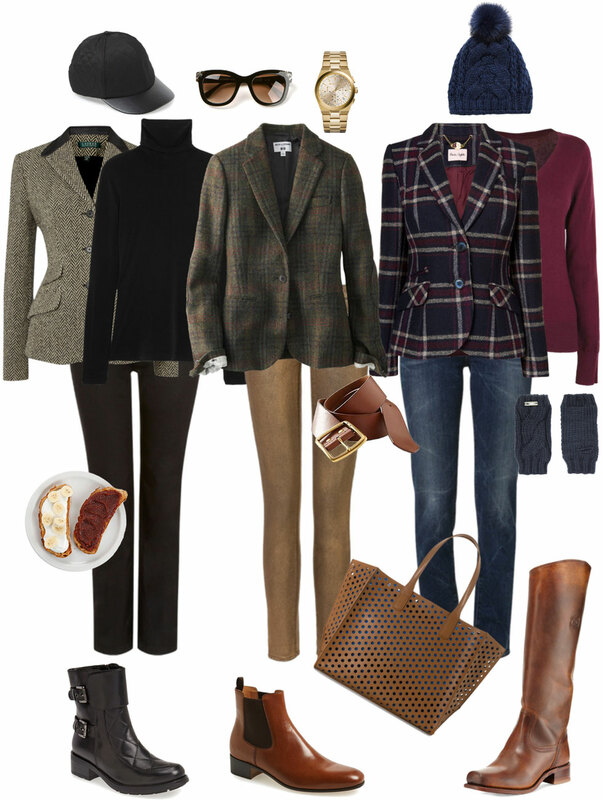 Urban Equestrian is not a literal equestrian look, but an "inspired" version created from combining a tailored wool or tweed blazer, sleek bottoms and boots. The key piece for my look is my tweed Vogue 8601 blazer. 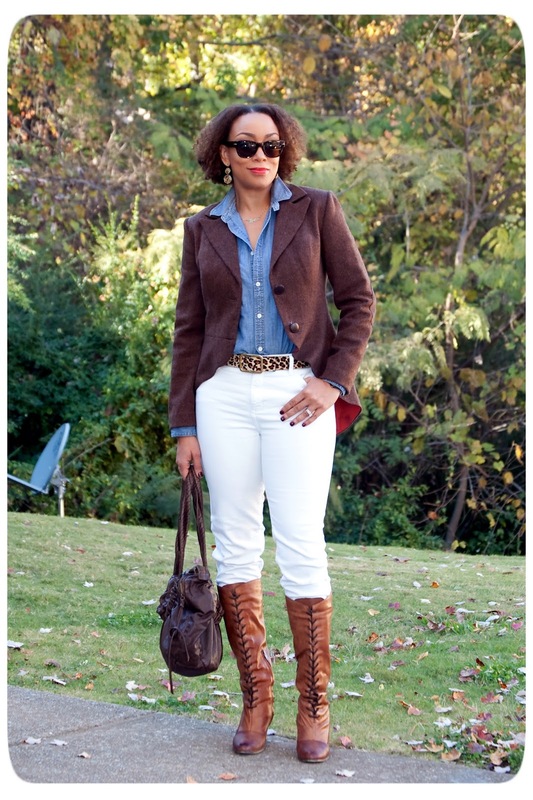 I paired it with a denim shirt, white jeans and a pair of Sam Edelman lace up boots. And for fun, my ponyhair leopard print belt. 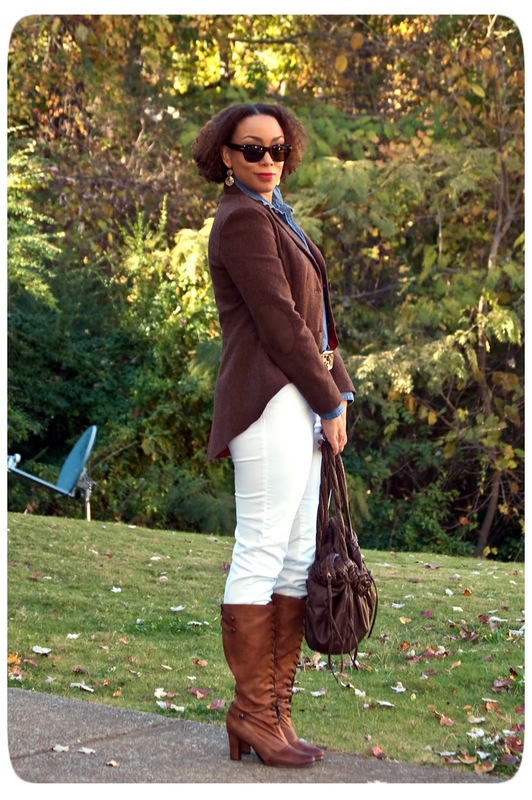 I love so many of my clothes dearly, but this blazer is something that I would NEVER part with! Stunning outfit! So cool and inspiring! I love your boots! You interpreted the look very well. Love the Jacket. I enjoy it! Thanks Serenity! This is my favorite look for the fall and winter. You look amazing and I am loving the look. The jacket it fab! Absolutely divine! i thought the pattern looked a bit fussy until I saw it on you. Sometimes I like unusual and this jacket just fit! Thanks Cindy! If I could spend an afternoon trying on your makes, this jacket would be my first pick. LOL! I love this jacket too! Thanks Grace! I remember when you first posted that blazer! Loved it then and still do! It looks great! It sure pays to put time into great pieces.